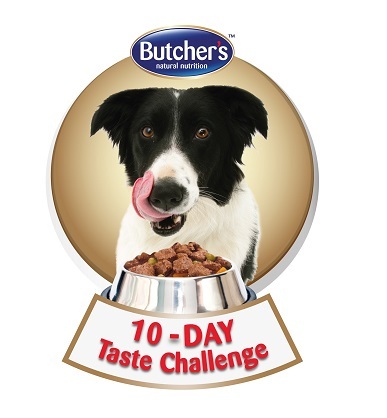 During October, 100 dogs participated in the Butcher’s 10-Day Taste Challenge where owners swapped their dog’s food for a variety of recipes from Butcher’s. They’ve now shared their stories and the results are in and speak for themselves! Nine out of 10 owners said that their “dogs love Butcher’s”, devouring the meaty recipes throughout the challenge. In fact, dogs loved Butcher’s so much that over 8 of 10 (81%) owners said they would continue to feed their dog Butcher’s and 86% said they were happy to recommend it to other owners. The Butcher’s 10-Day Taste Challenge was the first of its kind in the UK and hundreds of dog owners jumped at the chance to participate. Showing just how important it is to us as pet owners to know our dogs are being fed the best possible diet, owners were keen to swap their usual dog food for delicious meals made with fresh, meaty natural ingredients and no artificial flavourings for 10 consecutive days. Proof is an empty bowl, with 74% being licked clean, and the appearance of the dogs, with 8 out of 10 owners giving their dogs 8 or above (out of 10) for a very shiny coat and bright eyes. 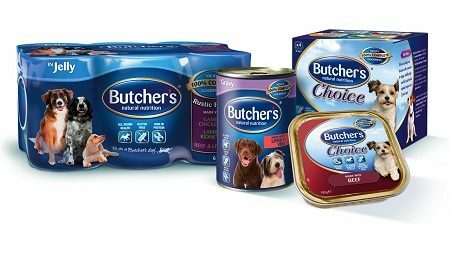 Butcher’s offers a range of meaty natural dog food in a can or a foil tray and in a variety of delicious recipes. It can be fed as a main meal on its own or as a tasty meaty topping to a dry meal. Each recipe of Butcher’s provides a 100% complete dinner – every recipe has been developed with leading nutritionists so owners can be sure their dog is getting all the meaty proteins, vitamins and minerals they need to be as Fit as a Butcher’s Dog™. What’s more, they are made with fresh, meaty natural ingredients and no artificial flavourings, with no fillers such as soya or wheat, so they are wheat gluten free too. A bowl of Butcher’s has everything a dog needs and nothing it doesn’t! See if your dog loves Butcher’s too!